The Tennessee Department of Education uses data to provide principals with suggested teacher partnerships based specific observation indicators rather than overall evaluation scores. These indicators serve as a focus for collaboration aimed at improving specific teaching practices. Partner teachers work collaboratively throughout the year through activities like peer observations and feedback. The partnerships leverage in-school expertise for personalized professional learning. Principals can modify partnership suggestions and teachers can choose their own activities. This built-in flexibility ensures the partnerships are centered on the needs of the teachers involved. Why should my school or district implement the IPI? A pilot study of IPI showed significant positive effects in participating schools, including increased student test scores, increased teacher evaluation scores, and more positive views of evaluation and school culture among teachers. IPI is a straightforward, low-cost way to provide teachers with personalized, job-embedded professional learning and to build capacity at your school. In addition, most participating teachers enjoyed the ability to collaborate and reflect on their practice. How is IPI different from other professional learning collaborations? IPI is focused on improving teaching practices by highlighting specific indicators on the observation rubric as targets for partnership work. It is data-based, using evaluation indicators to match teachers in partnerships so everyone can learn rather than using overall scores to match higher and lower performing teachers for mentorships. It is personalized and flexible so that teacher partners can focus on how they want to address targeted observation indicators. How can IPI be used with other professional learning collaborations? If your school has a mentoring program or Professional Learning Communities (PLCs), consider using match suggestions to set up partnerships within these groupings, and having them focus on specific teaching practices in addition to other areas of learning. You may also wish to use partnerships to help launch PLCs by having partners sometimes meet with other pairs to, for example, consider how their focus practices work together. The department and TEAM coaches are happy to work with you around specific programs to integrate IPI into your school. What is the relationship between IPI and teacher evaluation? While it uses data from the evaluation system to propose matches, IPI is not a part of the evaluation process. Rather, IPI is a way to support teachers in improving practice by using evaluation data. IPI offers sustained and collaborative support focused on specific observation indicators by strategically matching teachers for such improvement work. It is not based on overall evaluation scores; rather, matches target specific indicators to allow for focused, personalized professional learning. The department uses prior-year scores from classroom observation rubrics in a matching algorithm to propose a set of recommended partnerships that is based on teachers’ complementary strengths and areas of growth on specific instructional practice area(s). This matching is done based on indicator-level observation scores from previous evaluations, and not overall observation scores. The focus of the pairings is not on overall teacher performance but rather on the recognition that professionals always have areas in which they can improve, and there is usually someone around who can help them in that endeavor. As a result, these partnerships should allow teachers to collaborate on specific practices. Through an online portal, the department will provide principals with a menu of partnership match suggestions. Principals refine the suggested matches given their knowledge of local context; previous principals have made decisions based on teachers’ schedules, personalities, experience, and grade or subject taught. Some have made adjustments or included additional pairs based on evaluation-based areas of reinforcement and refinement. Using their selected matches, principals then introduce IPI to pairs and support their work throughout the year. 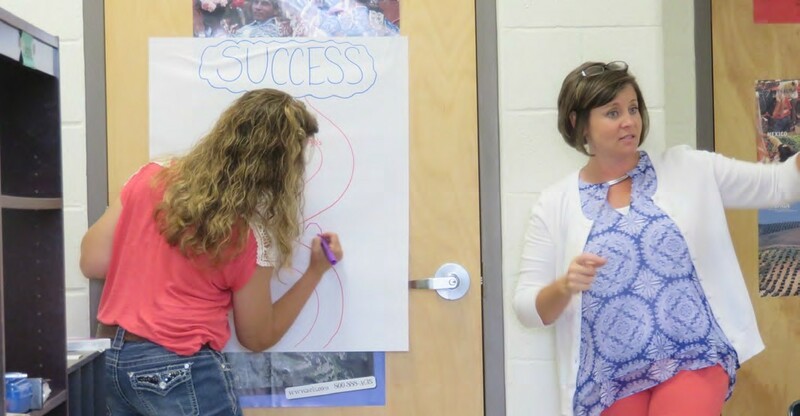 Teachers set goals for their partnerships around improving their teaching practices, create action plans for achieving those goals, support one another in ways that target specific indicators of these practices, and reflect on their progress together. 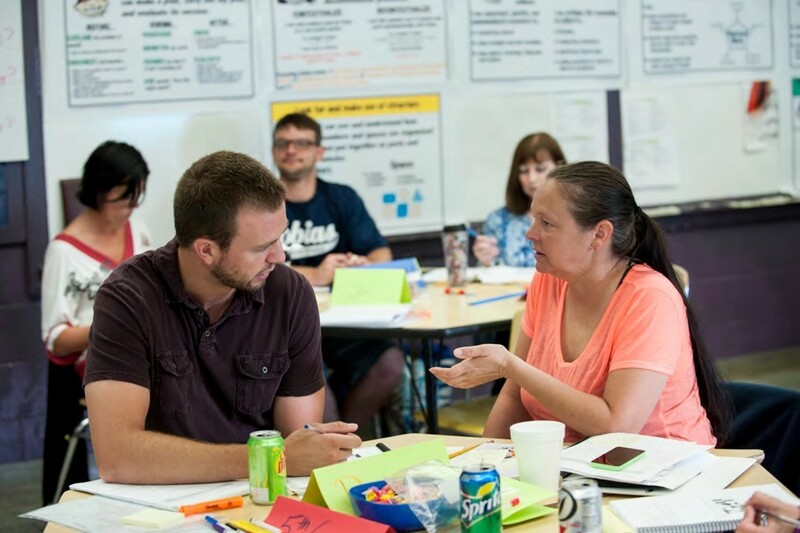 The IPI guidebook provides a number of suggestions that previous participating teachers have found helpful—meeting regularly, planning together, observing classroom practices—but all activities are determined by the teacher pair. Can teachers earn PDPs for participation in IPI? Yes; with documentation (e.g., the meeting log located in the teacher IPI guidebook), teachers can earn professional development points (PDPs) for time spent collaborating as part of IPI. PDPs can be added to an educator’s record via TNCompass. After matching and launching the initiative, IPI does not require a significant time commitment from the principal. TEAM coaches, as well as district personnel from some districts, will provide principals with extra support and guidance on how to finalize partnerships, approach teachers, and guide the partnership work. For teachers, regular meetings are strongly encouraged in order to provide each teacher with a valuable experience; however, they should not expect an excessive time commitment. IPI is designed to be flexible to teachers’ busy schedules; partners can commit as much time as they decide to and are able to invest. Does my school or district have to pay for this? No, there is no cost for schools or districts to set up instructional partnerships. All guidance materials will be provided free of charge. IPI teachers’ evaluation ratings increased and their views of the evaluation system improved after participation in IPI. facilitating peer to peer feedback among teachers. I have a question, but it is not listed here. Please reach out to Machel.Mills@tn.gov with additional questions.